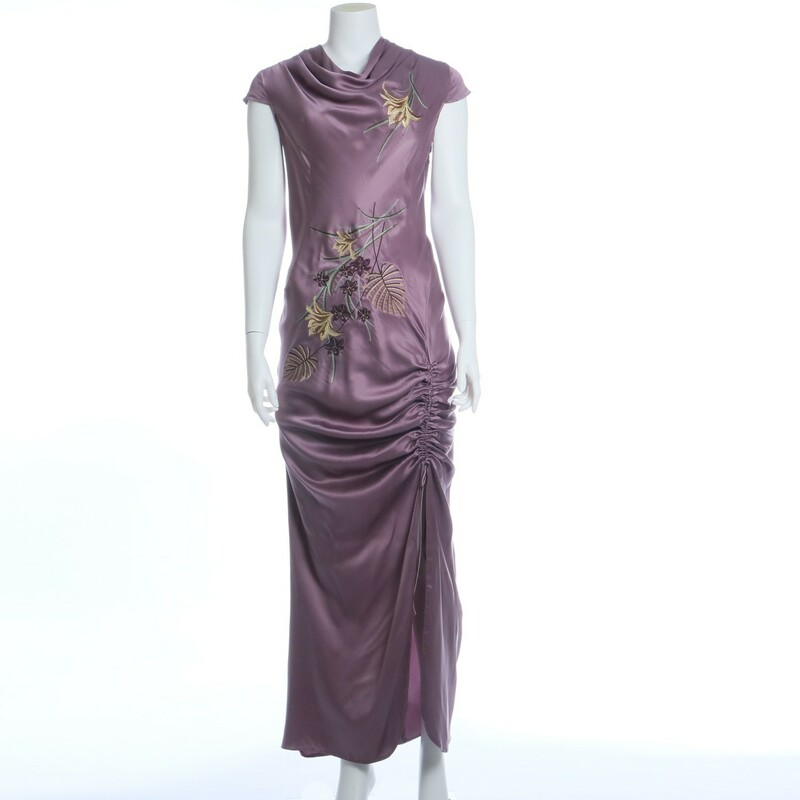 Glamorous, fluent, embroidered with flowers, 100% silk satin dress, designed by Ted Lapidus. 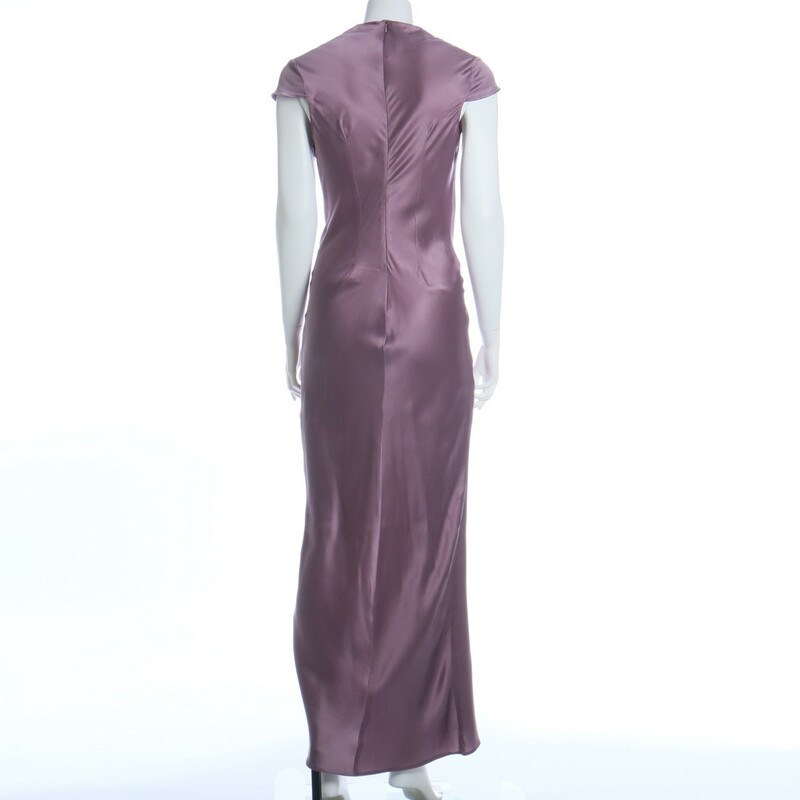 On the left side with adjustable straps, to make the dress longer or shorter and split. 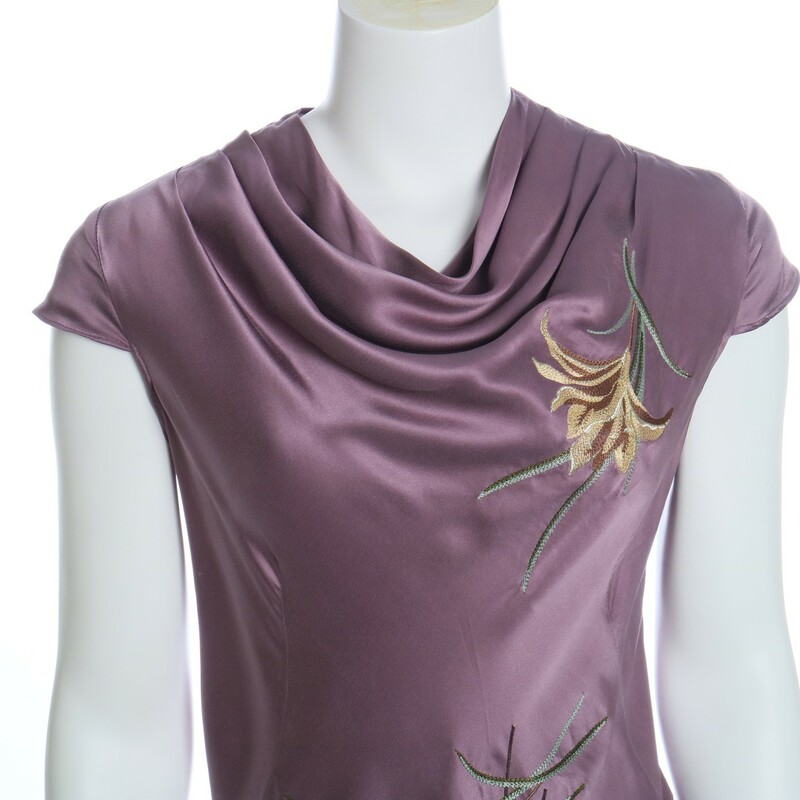 Cowl neck and cap sleeve. Closes with invisible zipper at the back. 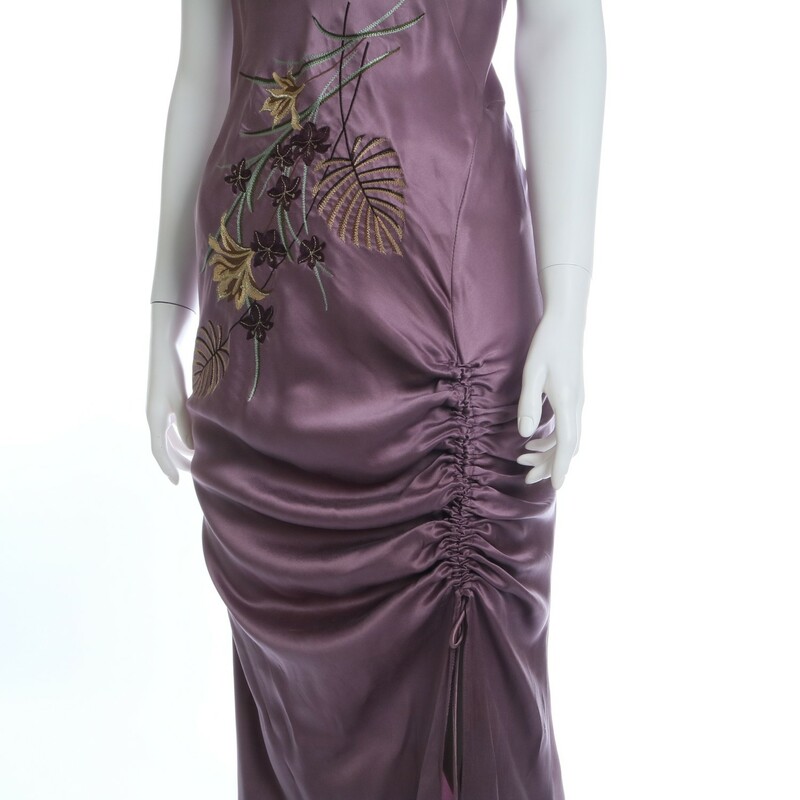 Dress is very fitted and cut on the biais, so it fits like a glove.